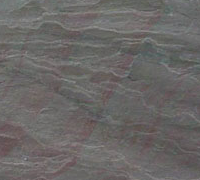 Slatestone is a very fine grained metamorphic rock derived from the sedimentary rock 'shale'. Slate is composed mostly of mica, chlorite and quartz. Shale is subject to heat and pressure and the fine particles are "melted" together to form slate. Slate is characterized by a sub parallel orientation which imparts a strong parallel cleavage to the rock which allows the slate rock to be split into thin but tough sheets of slate. 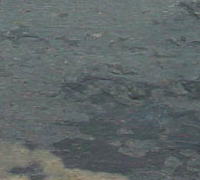 Slate has a fine to medium grained surface texture and has an excellent shining property.